Ok I have started this thread for just small showcases of any sort, which are cool enough to share with the community, but not large enough to warrant it's own thread. Anyways, I'll start here with my new GUI i am working on. Cool! I've seen something like this before in Protogame. Go check it out. It hasn't had much exposure, but it's very powerful and offers probably the most features of all MonoGame engine out there. 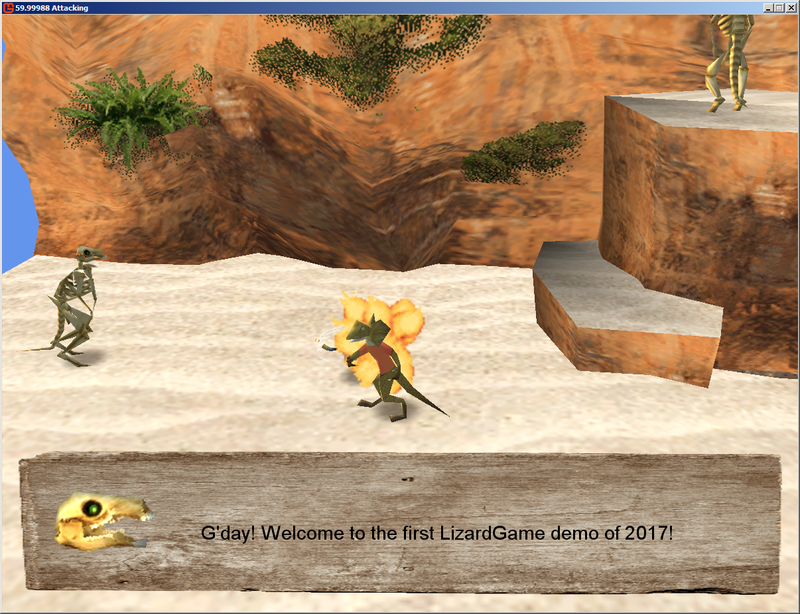 Here is my (as far, untitled) LizardGame. It's basically me trying to recapture some of that PSX magic. I've had to code out pretty much every aspect of this, from the physics, to most of the animation engine myself), but it's been a nice hobby for the past few months, and it's moving forward pretty nicely as far as hobbies go. I guess I'll make a thread about the model loader soon, if i decide to continue making it. I'd say a model loader would be an EXTREMELY useful thing to MonoGame devs. I kind of have to use a bit of trial and error whenever I load a model in at the moment (no idea how it will look until I load it on an arbitrary object in my game). This would eliminate a lot of those problems. An old church a friend of mine made. I made textures in substance painter. Do you know how to do triangle picking you should add that :). I have pixel-accurate picking in my deferred engine, for an editor performance is good enough and implementation is super simple. I simply draw all my meshes again with a unique id and read teh mouse pixel on the cpu to get the mesh id and the mesh. But in the model viewer i only have one model, what else could i pick? Just got a Hot Swappable shader system working. This is a debug only system that watches for modified .fx files, and compiles and reloads them at runtime. I have integrated Bump mapping (using a heightmap instead of a normal map) and optionally POM into the model viewer. But I'm not sure it is robust enough so I didn't update the official release yet. Looks very good. How many triangles does the cube have? If I understand correctly, you modify the vertex positions by using the bump map and applying pom on top? What do you mean by robust enough?